Can finally handstand again! The left wrist is feeling much better. My handstands feel stronger already. 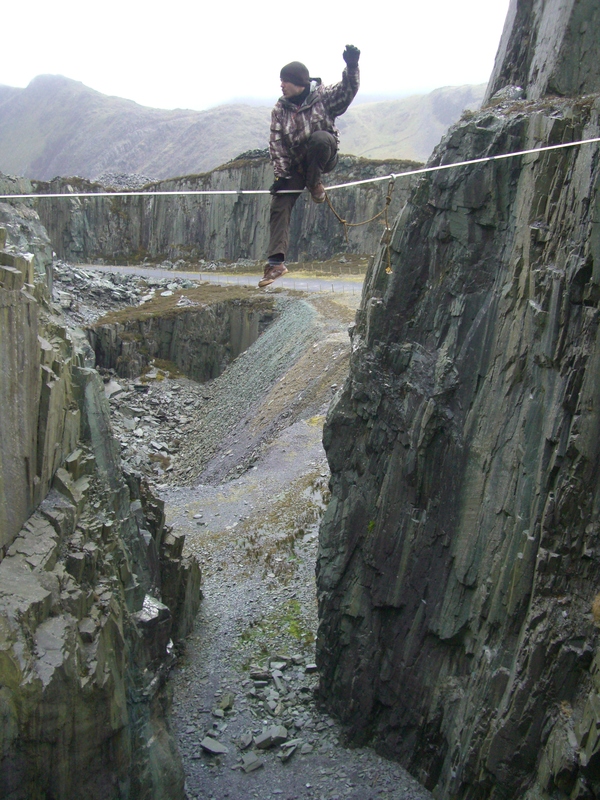 Went for a slackline session on Sunday, the first in many weeks now that my ribs have healed as well. Was surprised to find how much easier the Chongo mount is now I have been working on my flexibility at home. Positive stuff! Homework sessions now look like this, before breakfast. 2 X circuits of right shoulder rehab using low-strength Thera-band. Really feel my right rhomboid working on exercises 3 and 4. 3 breaths rest between exercises. Total time is about 40 minutes. Today I had very mild twinges in the area of my S1 disc. No pain, however. Another great class. Amy spotted that in order to correct my hips (swinging out to the left and out of alignment), I need to activate the right side of my core/abs/obliques more and my right buttock. It’s a very subtle activation but it makes a lot of difference and means correct form and posture. That was the focus for today . My right shoulder is looking stronger, and isn’t dropping as much as it was. Homework with the Thera-band has been paying off. I was a little shaky in class – possibly too large a dose of Guarana powder before starting, combined with the excitement of going up to London after class to the Outdoors Show 2012! I was losing my connections at the peak of my inhalation breaths. That’s because breathing only into the back of your ribsis bloody difficult. I feel like I’m restricted in the amount of air I can take in! It’s currently a reflex action to let go of the connection so I can take more air in! The connection in question is my upper abdominal-to-ribs.If anyone has some tips for the Pilates breathing technique, please share!! This entry was posted in Back Pain, Pilates, Self-Experimentation and tagged amy kellow, authentic pilates, Back Pain, Bulging Disc, everybody pilates, harry cloudfoot, Joseph Pilates, Pilates, pilates breathing, private lesson, Reformer, s1 disc, thera-band, theraband by harrycloudfoot. Bookmark the permalink.